CNN also alleged in its lawsuit that the White House’s actions could have a chilling effect on challenging questions from other reporters. 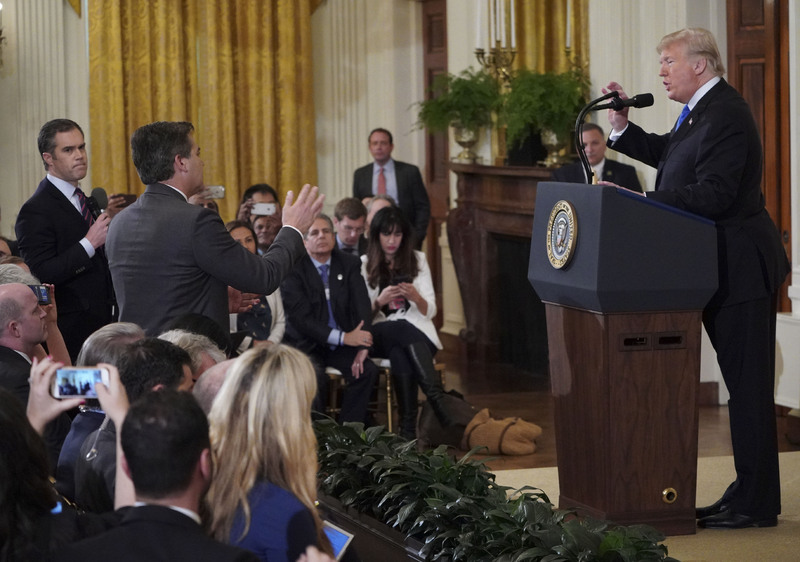 The White House took away Acosta’s pass last week after a contentious exchange with the president in which Acosta refused to hand over his microphone to a White House intern. White House Press Secretary Sarah Sanders accused Acosta of placing his hands on the intern, a characterization that CNN denies. Video of the incident shows Acosta used his left arm to block the intern from taking his microphone.